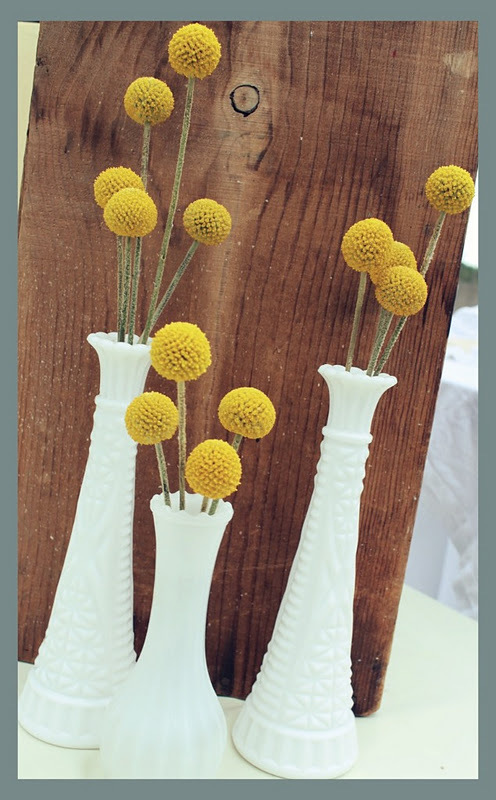 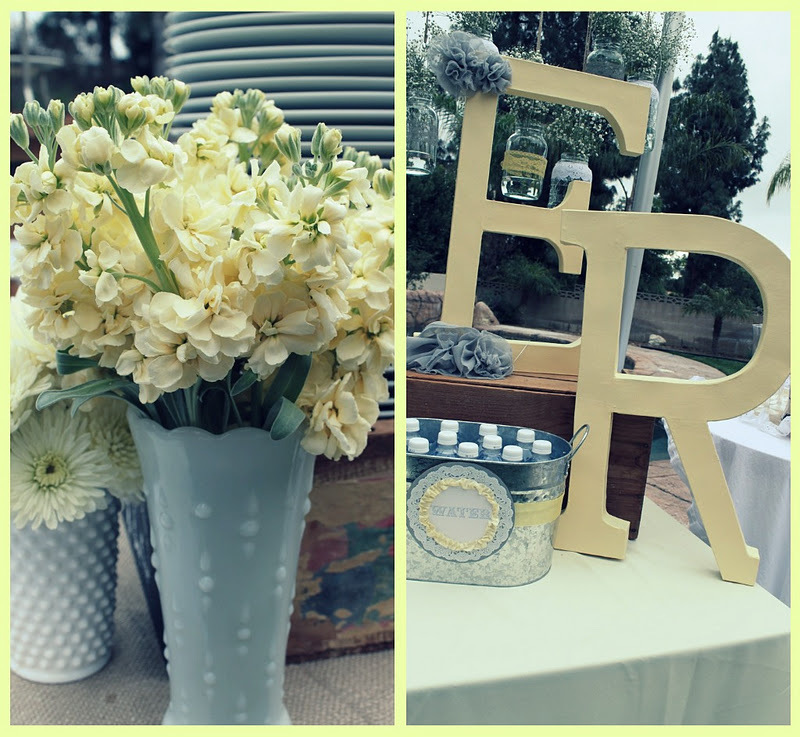 Today's party feature goes to this lovely VINTAGE GREY AND YELLOW BRIDAL SHOWER submitted by Linsey Herrera of Lux Events & Design. 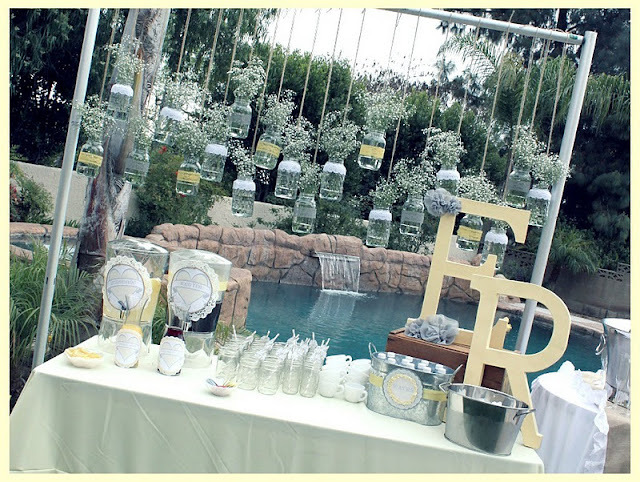 What a gorgeous celebration. 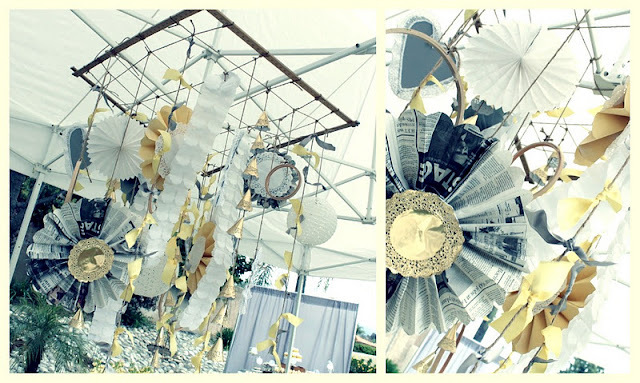 I love everything about it. 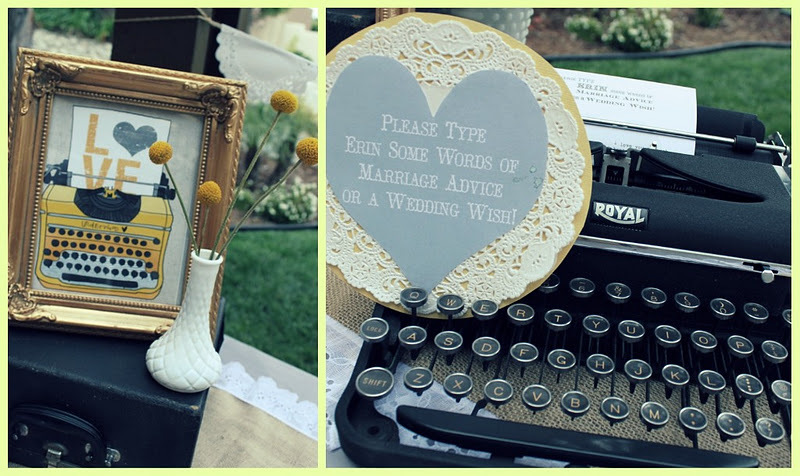 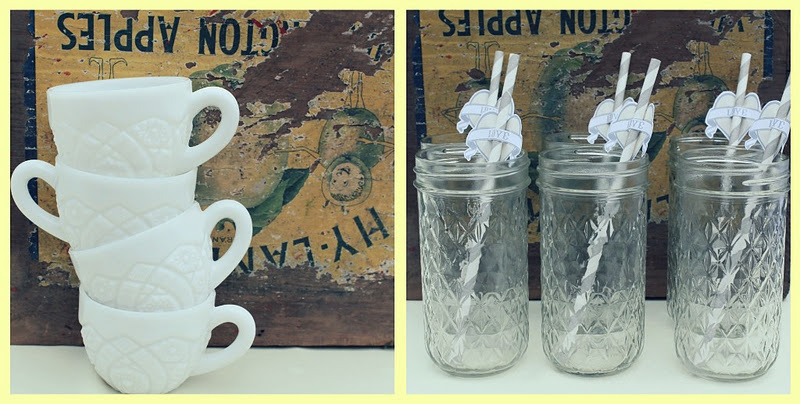 Look at the typewriter, vintage frames, hanging mason jars, rosette flowers, doilies, milk glass & more! Swoon. 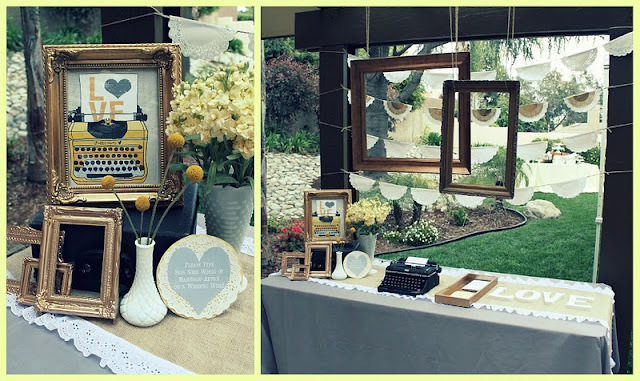 Here is what Linsey said about the party- "The color scheme was yellow and grey with a heart theme! 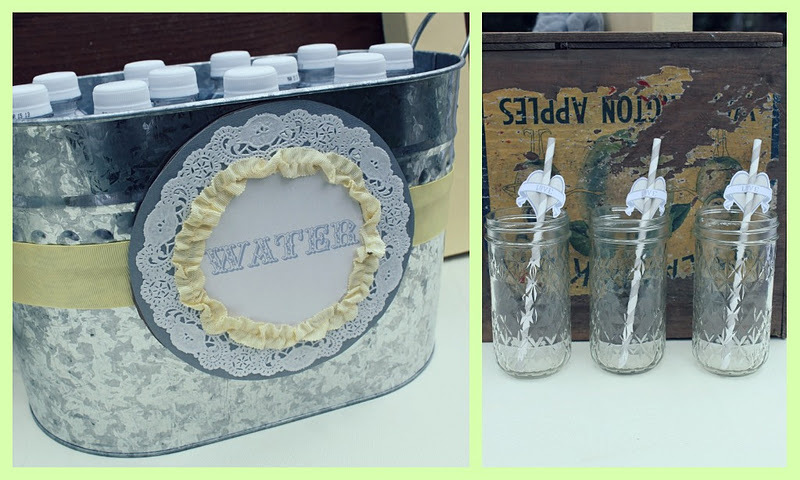 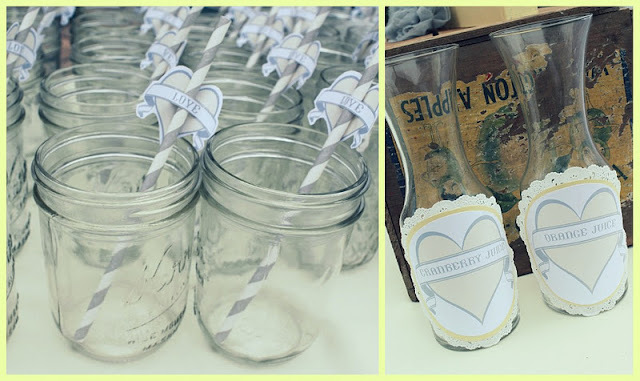 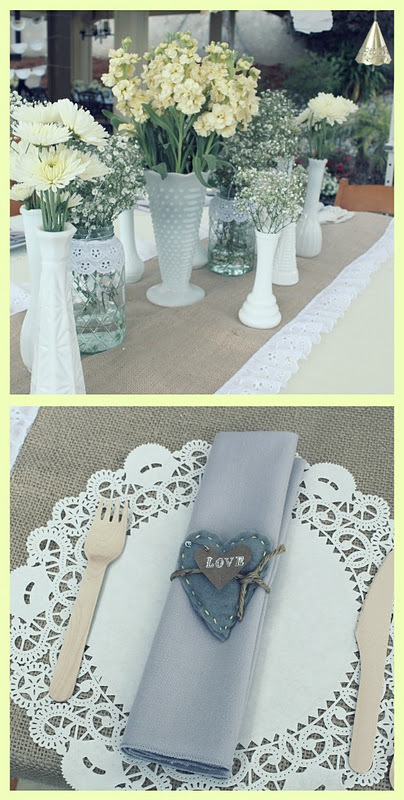 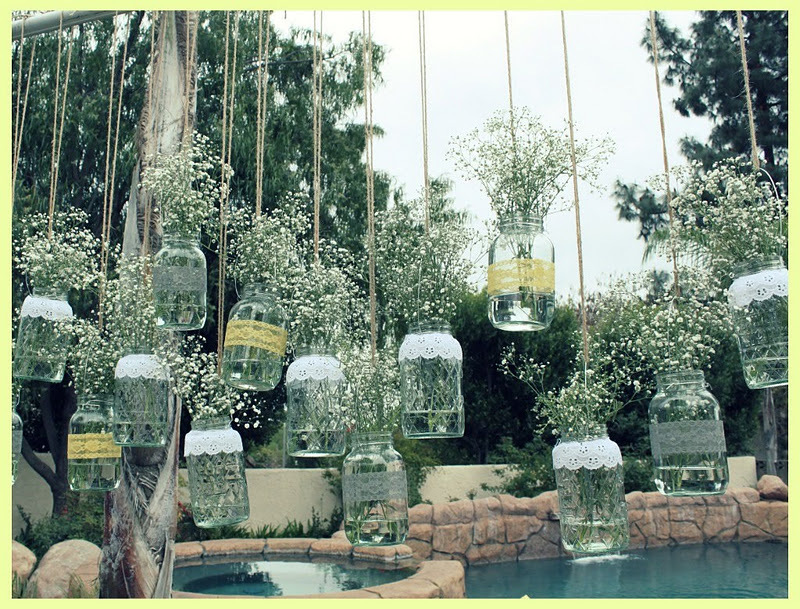 I collected lots of different mason jars, old frames, old fruit crates and milk glass to use for decor. I assembled the dessert bar with different cake domes and riser boxes. 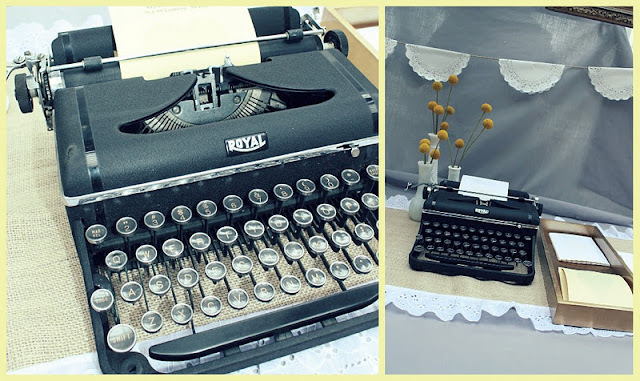 The cupcakes were displayed on top of a vintage seed box. 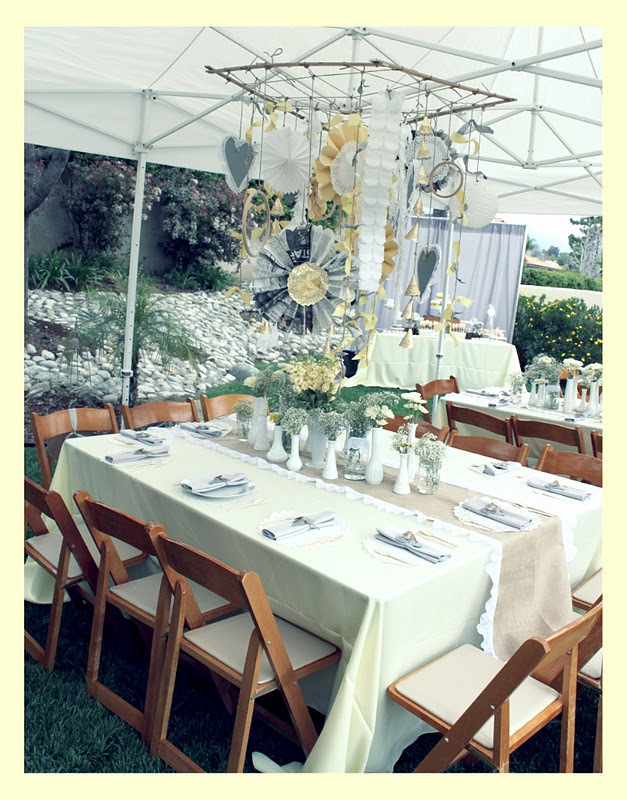 The guests sipped on mimosas and dined on fresh baked quiche, strawberry salad and fresh fruit. 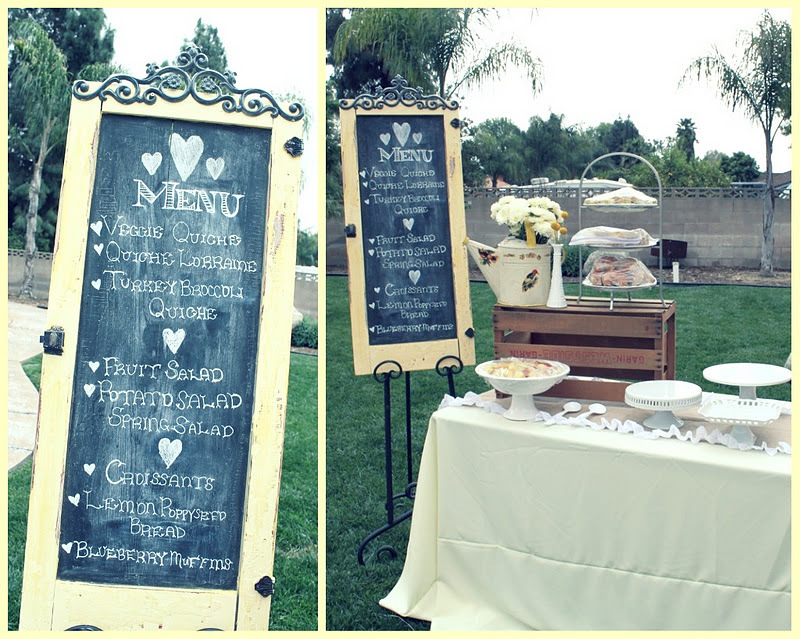 The dessert bar was a hit! 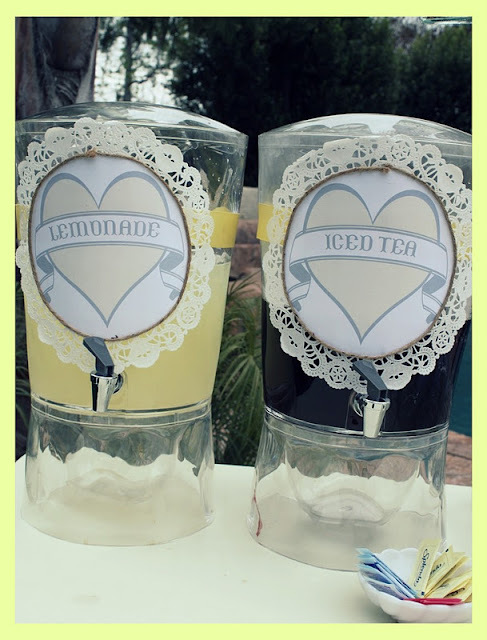 There was not one sweet left! 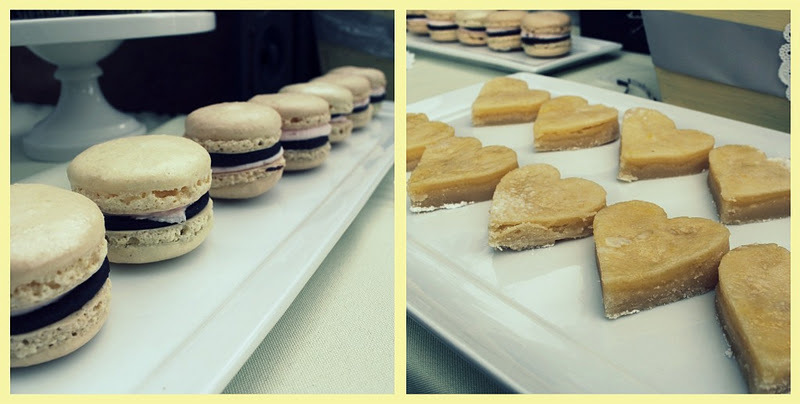 To keep with the theme, Heros Baking Co. cut lemon bars into hearts and baked fresh giant sugar cookies in the shape of a heart. 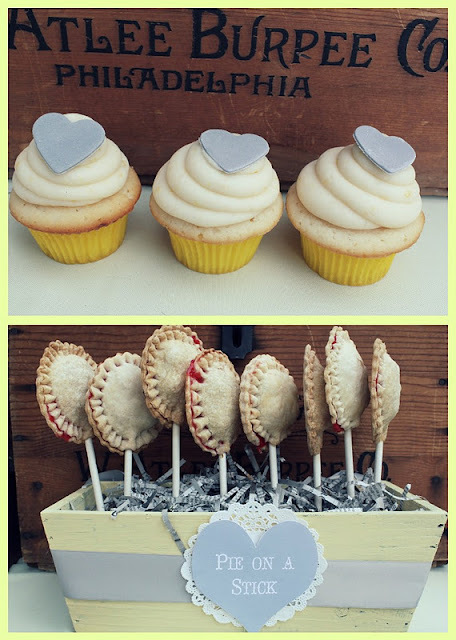 The sweet and Saucy shop did grey fondant heart cutouts for the top of the cupcakes. Each guest took home a small jar of homemade lemon curd." Desserts: Sweet and Saucy shop & Hero's Baking Co. 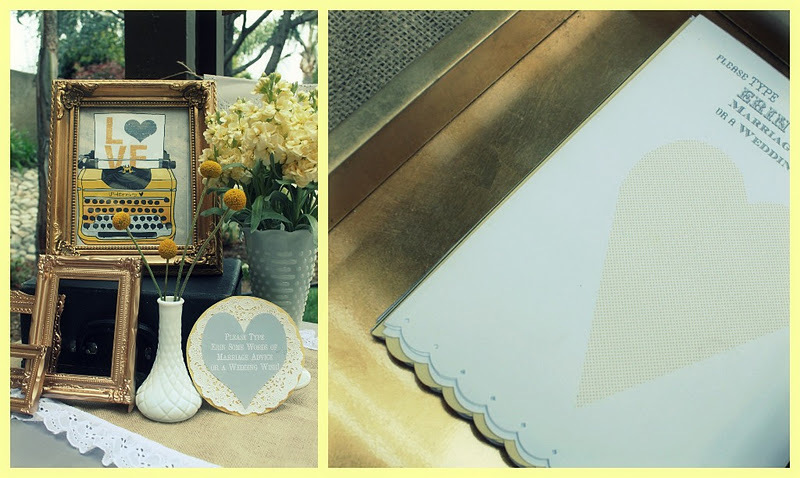 Looking for a unique invitation to coordinate with these gorgeous colors...I have the perfect design.